Gaz is the menacing younger sister of Dib and one of the supporting characters of Invader Zim. Known for her dark, violent and antisocial personality, Gaz has frequently expressed her disdain for the rest of the human race, seeming to care about only two things in the world: Pizza and video games. Few have been known to get between her and those two things and walk away unscathed. If the game crashes when you try to select Gaz you have to disable small textures in the options. 2800 views and 400 Downloads! Cool, really cool! This mod was created by Devil_saint, Ms Muzzles and Chromiumboy. He does a great damage only if you keep his sanity up! Beware don't lose much sanity. If you have low sanity. Go find something to get up! wear backpacks. Also he's a bit faster than average. V3 A terrible bug in workshop. 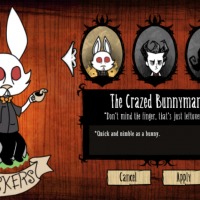 Your decent into madness begins with the "Hunger Pains" Character Pack, Part 1: Winnifred. My first custom character is now available for download! Whiskers is your average character, but his main difference is being fast, especially when holding a cane or running down a road. ESPECIALLY both at the same time. He's a character for those that want to go fast, want to kite easier, or end up forgetting something near the end of the day and need to rush something in before the darkness devours them. 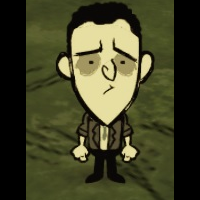 This mod adds Tom Hanks to the game. Tom heard that Wilson was around here, so he's gone looking for him. Tom is very likeable, so rabbits and gobblers don't run from him. His Abraham Lincoln blood line also makes him a bit better at things like combat and running. However, Tom has type 2 diabetes so he can't eat too sugary foods. This hungry creature have arrived on this strange island. Can he overcome his fear and survive on this island? It's up to you. Wicked's speciality is similar as Wolfgang's. (actually I copied most of codes from Wolfgang.) Become powerful and bigger if hunger meter goes up and Become weaker and smaller if hunger meter goes down. His strong stomach can digest any spoiled food without penalty. 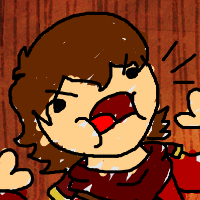 But it's digestion is too good so hunger meter goes down faster than compared with other player characters. So you must work more hard to gathering foods. I also tried to make Wicked's personality interesting. Such as funny face expressions or interesting speeches. I hope people could enjoy it. If anybody found any bugs or have any suggestion, please reply on this post. Or if you have any question with privacy, you can mail me too. I make available to you this mod that brings a new character. Our hero is fooled by Maxwell that takes you on an adventure that will test all their strength. Fixed bug when character had a hat! Well then, i just wanna say when the New expansion arrives i will update it again. for the moment i will abandon it but still 100% working. St... Hum... WILDO IS BACK! I updated much things except character appearance, he likes green! Vanilla compatible, starve now in the vanilla game! wil b is more updated! Update log : Textures refixed! Hello! 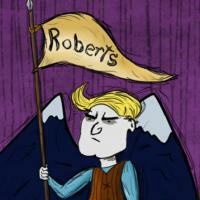 Rob here with a mod that adds Youtuber, Chris "Sips" Lovasz into Don't starve! Adam, The Fearless - Giants and Hats! PLEASE READ THE BUGS AND NOTES SECTION BEFORE DOWNLOADING, THANKS. 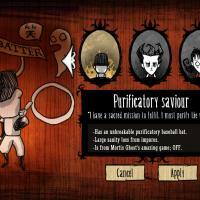 This mod adds the character Adam Connor to your Don't Starve experience. He´s "brave", and though guy, so he's designed for melee combat, or more like, to last LONGER in combat by taking less damage, both physicall damage and mental damage. He's not designed to have an advantage in sanity, so I gave him a fear to darkness, also he has a bigger appetite than most of the other characters. Perhaps his most interesting feature that, while playing as him, enemies will sometimes drop EGO, with wich he can "create" a range of weapons, armor, and hats, the more difficult the fight, the more EGO he gets (stronger enemies drop more EGO), EGO gear is divided by sets, you can easily tell a set from other by theyr colors, each set of EGO gear is especially useful in certain situation, and is focused in a specific aspect of the game, and some work better together than others. Also you gonna have a bad time during winter, if not properly prepared for it, because of the longer night, and his high weakness to freezing damage. All this as an attempt to keep him balanced. * Gets EGO from fighting with wich he can create epic gear. * 50% Insanity Resistance (From monsters). * Has an extra inventory slot for storing EGO. * 50% Higher Hunger Rate. * x2 Freezing Damage. (I initially wanted him to actually freeze faster, if somebody can help me with this... um, it'll be great I guess). All info you need about EGO gear is in the references at the end of this page and in the mod folder. Download, test, and let me know what you think in the comments section. Have fun! And try to not kill him too often, I worked hard on him. * Possibly more EGO gear. * Update for DLC compatibility. * Summonable hound companion of some sorts (concept not ready). * Increased defense when low on HP. * Berseek mode when low on sanity. * Faster freezing, rather than more freezing damage/nerfed insulators . 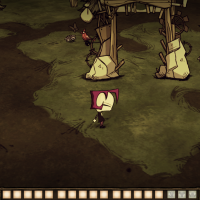 * Don't Starve hates this mod and may refuse to load it properly, force enable it and it will work fine. Guaranteed. * Special thanks to queek for the auto-ego-pickup-code. * Special thanks to TheDanaAddams for her useful guide to character creation. * Special thanks to jimmeh57 and JackSlender for they'r help with the knockback resistance code. * Three pieces of EGO gear equiped at the same time will make you absurdly OP. * The BigPortrait is a master piece, don't judge it. Known Issues: Having the Easy, Normal, or Hard version of this mod enabled at the same time causes it to function incorrectly. So please only activate one at a time. Changes are planned to be implemented based from user feedback. A planned power I'm working on is that he uncovers a slightly larger area of the mini-map while walking through it. Starting Gear: Compass, fishing-pole, a small jerky and one torch. For anyone who wants to take some screenshots of this character in use, I'd like to put some of them up to replace the boring ones on the main page! just link them to me using Imgur. by cEnaa9 - v. 1.0 "Strange new Powers"
*Comes with his own Reaper. *Has got much Health but low sanity and hunger. Special thanks to "google picture search" and "The Grim Adventures of Billy & Mandy"! Just extract the rar-file into your "mods" folder and activate it ingame. Don't forget to activate his reaper! Play as the adorable Warbler, the poor little Pengull that lost his waddle! Help him survive this strange summery world until winter comes! 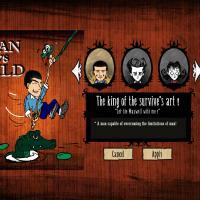 -Lovecraft has increased health, but lowered sanity. 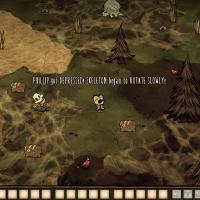 -Corrected the mod to be compatible with the newest version of Don't Starve. Please re-install following my updated instructions. 2. Extract contents of the zip (lov folder) to your mods directory. 4. Select "mods" from the main screen, then select "Beezlebub" from the list and activate him. -Adds a unique set of dialogue. -Beelzebub has immense health, but little sanity. -Fixed an error causing the game to crash. -Corrected the mod to be compatible with the "New Powers" update. Please re-install following my updated instructions. 2. Extract contents of the zip (blz folder) to your mods directory. 4. Select "mods" from the main screen, then select "Beezlebub" from the list and enable him. Hey guys, so this is Lumizze, a character I've been working on for a while. This is an early design that I'm going to be updating quite often, but let me know what you think and how you like him. A mischievous, cyclops fox with an eye for adventure. He's got a chipper attitude with the loss of his eye, giving him an edge against the unimaginable. His nimble fingers allow him to deftly steal what others have killed for. He'll start out with a glove that will allow him to pickpocket various (perhaps random) items from creatures. He's a thief, and this thief work best at night. During night, he'll have a speed increase as well as a reduced sanity degen. Note that most of these abilities haven't been added juuust yet, so he's kind of plain at the moment. But yeah, updates are on the way! 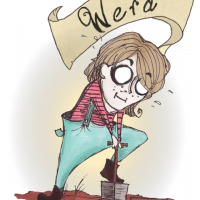 This mod adds Wera to your game. She's basically an all around character, taking advantage from her weather resistance and expert crop management she had little problem with preparing for longer trips and surviving them. Unfortunately there's some stuff she won't eat no matter what, so better check her food before going anywhere! -This is my first custom character so if you encounter any bugs please let me know. I want her to be enjoyable to play, without stupid glitches, typos, etc. -Special thanks to Dragon Leo Wolf for the Extended Sample Character Mod, and helping me with compiling afterwards! -If you're experiencing trouble with downloading this mod it's also available from Steam Workshop here! -If you have some ideas about the mod and you would like to share them, you can leave your thoughts on the Official Mod Thread here! Wakkari is a member of south fox tribe from far away lands. One feral day he get's dragged to Maxwell's world, during tribal event - Festival of Ancient Spirits, together with Wayrra the Arctic Fox of northern tribe. 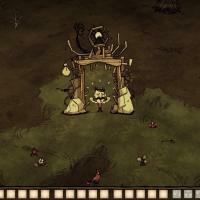 Did you want version for Don't Starve TOGETHER? *Mod seems to be compatible with everything. But since I'm not BIG fan of mods I didn't test it with many of them. Hi guys so this is my second mod called glitch, glitch is a.......... glitch? the link will bring you to this post or to my last mod called "wil mod" it is my very first mod so go check it out! 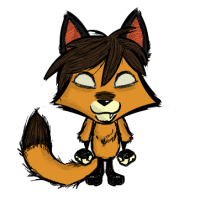 Custom character based on The Batter from Mortis Ghost's amazing FREE RPG Maker game, "OFF". - Has sanity gain when equipped. - Does slightly more damage than a spear. -Loses less sanity to darkness but more to impure adversaries. -Custom sound and battle music. -Every single line of dialogue customized (suggestions and improvements welcome from fans of OFF). Also yes the Batter doesn't have any normal talking sound effects, this is to mirror the game as he doesn't make any sound when he talks (other characters do). -Custom music doesn't stop on death and doesn't fade in/out. -The music will replace the original music if you play as The Batter then as another character without quitting the game, disable the mod or quit the game before playing as a different character to fix this for now. Lemme know plz on Steam or DeviantArt or somewhere. Prototype of Glass Joe from Punch Out! My first mod too. Has 100 health since he 's such a punching bag, 200 hunger due to no muscles to fuel, and 150 sanity from being in a world where the spiders can kill him faster than Little Mac can knock him out. Not as scared of the dark, but terrified of the monsters! Hits a quarter as strong as Wilson and hunger drain is four fifths Wilson's. Has headgear that can be re[aired with one flint. 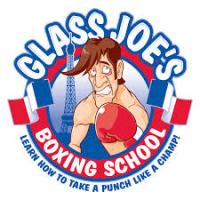 Don't expect much in this early stage, but plans are better art, improved dialogue, in French since Glass Joe is French, better headgear, and boxing gloves. -Hits slightly harder than average. -Custom sounds, lines and music. Be sure to examine things, there might be some references to Space Funeral... But it is too late for you. If it's not too late for you then you can always throw in suggestions for unfilled dialogue lines. -Battle music doesn't stop on death and doesn't fade in/out. -Would be great to have his own map icon but I've never seen it done. 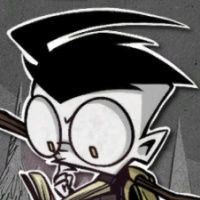 -Maxwell intro speech not changed, I'm not sure how to do it for this version of Don't Starve, if anyone knows, by all means tell me and I'll change what he says at the start of the game. -If Phillips custom music plays when playing as other characters, please disable his mod for the time being. Extra info etc in readme file included, but it's too late for you! Dib the Paranormal Investigator from Invader Zim. : He dosen't lose sanity with ghosts. : He doesn't need science machine. : His head is big. Thanks to Ryuushu for helping his code! Special thanks to Cassie(Hideousblob) who wrote the speech lines for him! And my Yuzin(Kiwii_kr) to made it all happen.